At first sight, Wat Samphran temple may look like a tourist attraction. However, nothing is further from the truth, as this unique temple is actually far off the beaten track and not included in most tourist guides. Wat Samphran temple is unlike any temple you will find in Thailand. 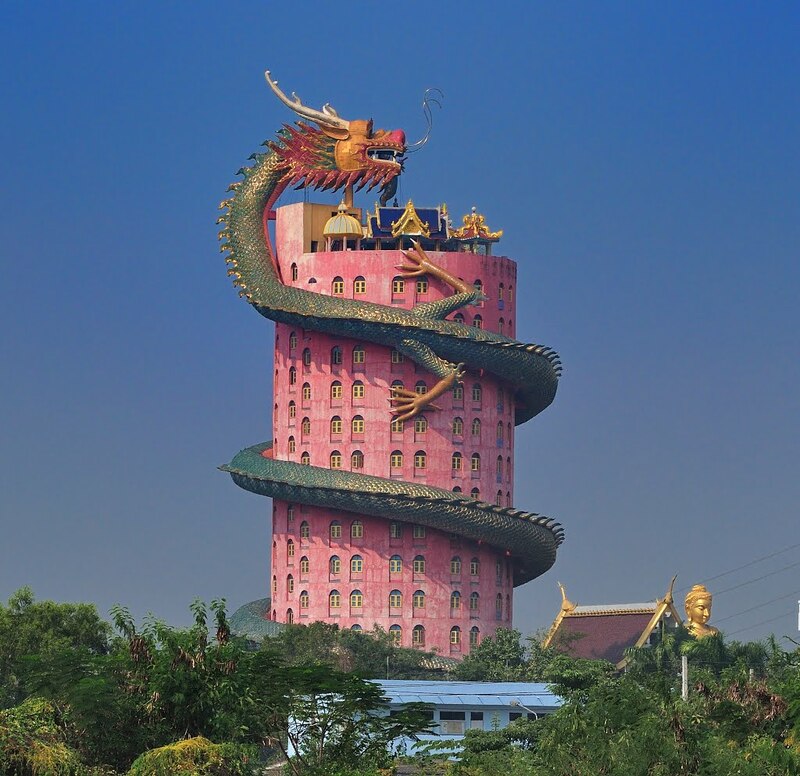 The building is about 17 stories tall with a giant dragon spiralling to the top. It includes many sculptures of other beasts and a giant buddha made of bronze. Visitors have commented that there are several hidden treasures upstairs and downstairs within the temple so if you ever manage to visit the place, keep exploring! Once inside you will find many amazing animal statues, including a giant Turtle and an awe-inspiring bronze Buddha. If you ever plan a trip to the Wat Samphran temple, be sure to explore thoroughly as this isn’t a typical tourist destination. Maintenance is said to be lacking and while the monks are very welcoming, some parts of the temple are not open to the public.